We all have to admit, we begin the year being determined to ace our exams, stay on top of all our readings and finish our assignments ahead of time. However, it’s around this time of year we start thinking – ehhh maybe just a passing grade isn’t that bad. Fortunately, it doesn’t always have to be like that. Here are some tips I’ve adapted over the past year to help you stay organized and on top of your game. Get a planner: Some of you might be thinking well duh, isn’t that quite obvious. But actually a lot of people don’t think that planners work and they are somewhat skeptical – even I was one of those people who hated keeping planners. But trust me it helps, there is something about laying down your plan and seeing it visually, that helps you to not procrastinate and actually get things done in time – ha what a miracle! 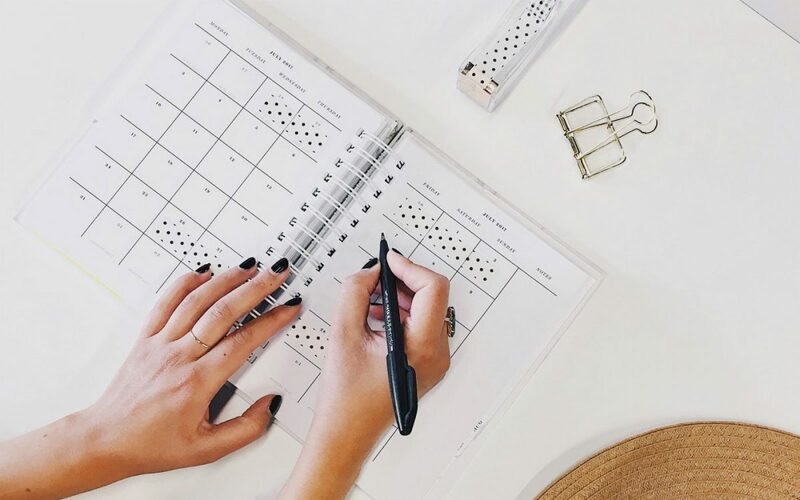 You can get planners that have slots for filling in every week, day and also every hour; it just depends on how organized you would like to be. Now, if you’re someone that doesn’t want to carry an extra book around everywhere, there are so many amazing planner apps at your disposal, so just take a look and download the one you feel will suit you most. Keep track of your course outline: Okay so now that we’ve gotten the planner, then what? Make sure you fill out your planner a week or even more ahead. It’s better to set deadlines for your assignments before the actual deadline, so that you have a little more time to go over it and not stress about not making it to the deadline on time. I would advise you to also include non-university related plans in your planner, so as to not have things overlapping – because trust me it happens. In the end, though, after you have successfully completed your plans, cross them out to feel a sense of accomplishment and to keep you going. Always have your backpack organized: It’s good to always make sure that your bag/purse is equipped with the essentials you need, so that you do not have to run around every morning trying to remember what is missing and what more you should add. Things such as your planner, pens, textbooks, chargers and so on. Keep sticky notes: This one I must say is most effective for short term plans, things you have to get done really quickly, but still may forget to do. Write down the thing you have to do and then paste in an area you look at quite often. It may be places such as on the inside of your laptop, your bathroom mirror, or even the fridge. De-clutter once a week: At the end of the week, after all those plans have been successfully accomplished, do yourself a favor and de-clutter. Look for all the papers, brochures, wrappers that you’ve compiled throughout the week and get rid of them. Also a very important, yet most forgotten one, de-clutter the stress from your mind. Sit and dedicate an hour or more at the end of the week to just de-stress and calm yourself before you get on and tackle another week. Of course, there are different methods people use to keep themselves organized but these are just some helpful tips to make your life a tad bit easier and more enjoyable during the stressful university years.